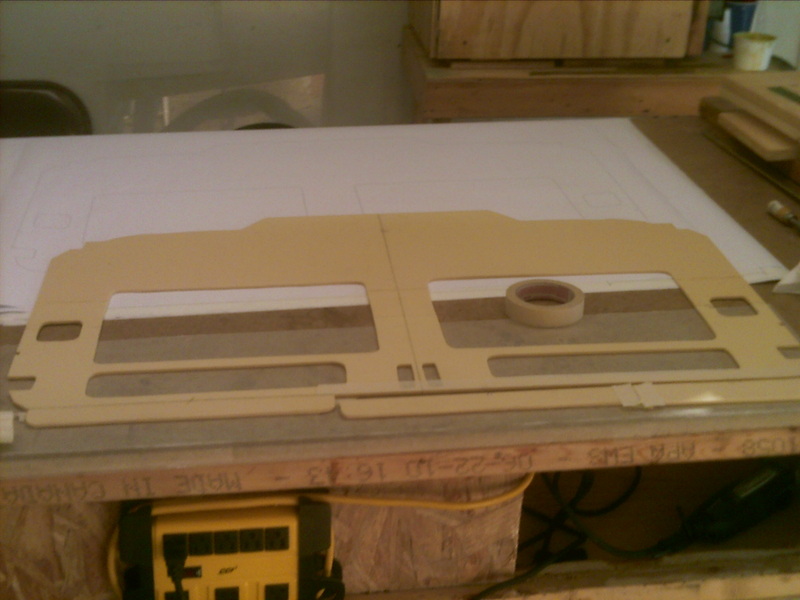 Started by cutting out the templates for the landing gear bulkheads and cut 22 layers of BID 10″ x 14″ for the hardpoints. Proceeded to glass the hard points. 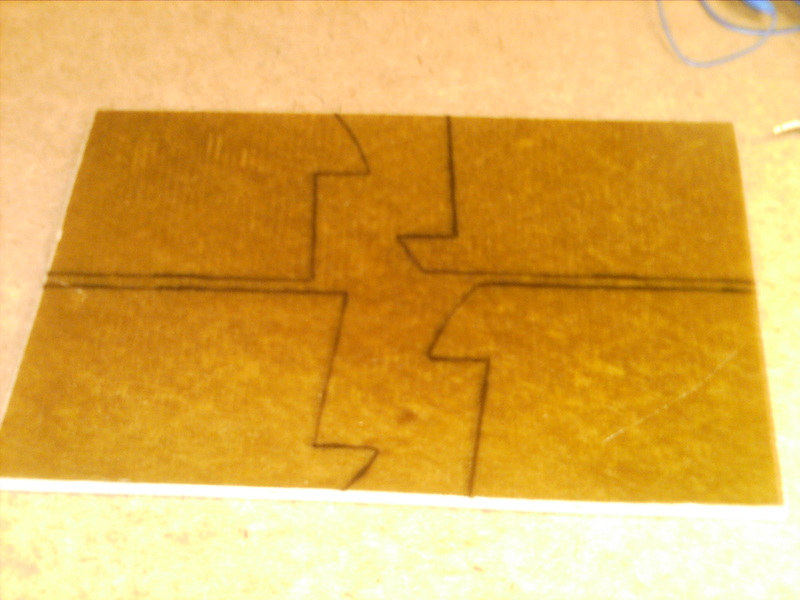 The glass didn’t seem quite thick enough, so I added 2 extra layers to make the 1/4″ required thickness. Trimmed the next day to a 8″ x 10″ rectangle, though it wasn’t as smooth on the top side as I was hoping for, due to some trouble I was having with the Saran Wrap. 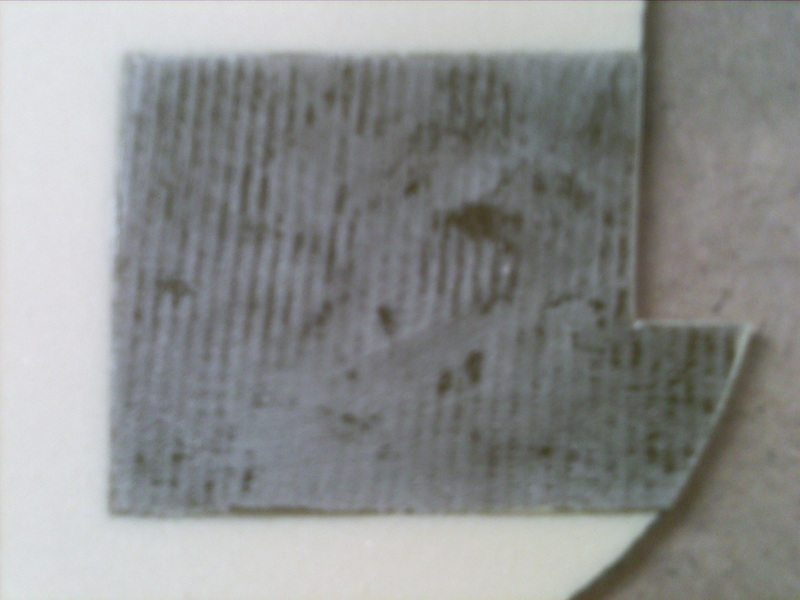 about the IP, but it actually looked fairly close, though there was a noticeable dip on the bottom edge. I ended up adding a strip of foam to the bottom edge, as suggested on another builder’s site, and the IP is ready for glassing. Cut out replacement templates for the landing gear bulkheads (as the CAD drawings are more correct). I cut out the templates that I traced the night before. 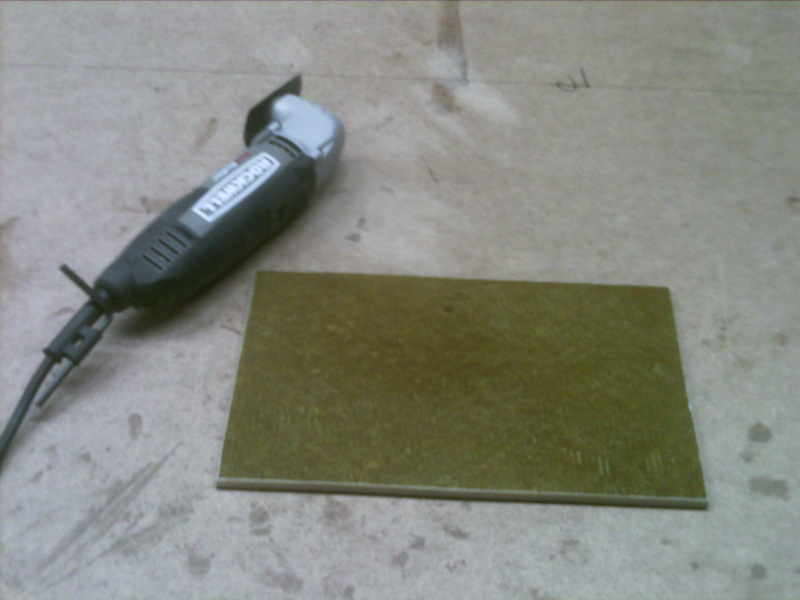 I traced them onto the 1/4″ tan PVC foam, and cut with a utility knife. 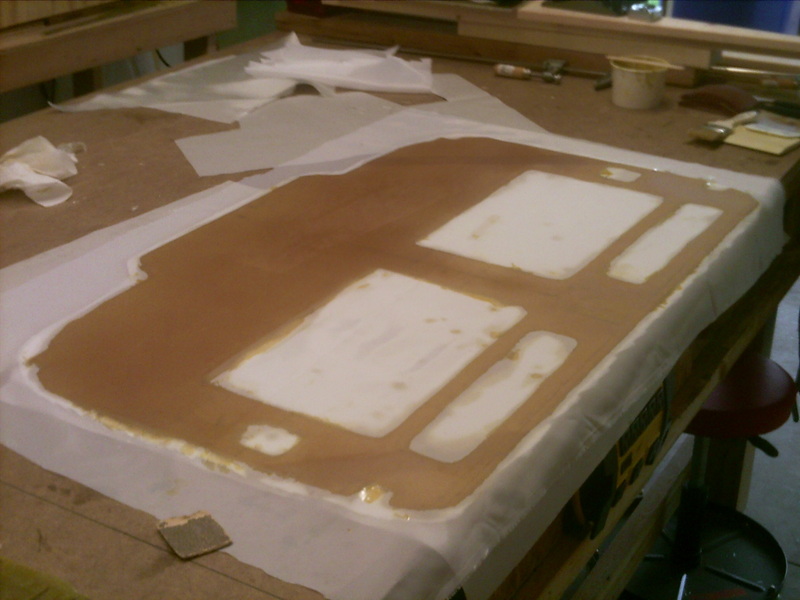 Glassed the aft side of the IP, two layers BID and one layer UND above the leg holes. Finished it up with Peel Ply for a smooth finish. I have not been able to cover these large bulkheads with a single layer of glass for some reason. I’ve had to add a piece in the corner where the BID didn’t cover. I cut out the hard points for the LG bulkheads, and cut the foam on the bulkheads to match. Glued the hard points into the LG bulkheads with some 5-min epoxy. Glassed the IP on the aft facing side. Two plies BID overall and one ply UND over the leg holes. Covered the whole layup with Peel Ply. Glassed the LG bulkheads. Front got 2 BID and 2 UND horizontally. Rear bulkhead got 2 BID and 2 UND, and 8 UND running along the vertical supports. Peel Plyed all three bulkheads. Finished up the day with trimming the IP. Knife trimmed the forward and Aft landing gear bulkheads this morning. My fingers hurt from all the work from yesterday, and all the thick layers on the side of the aft LG bulkhead were too thick and a little too cured to knife trim, so I opted to wait until full cure and cut with the Rockwell saw.